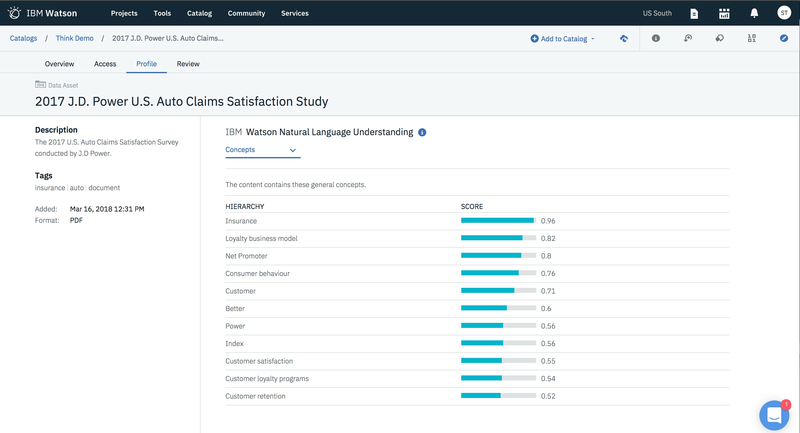 What is IBM Watson Knowledge Catalog? 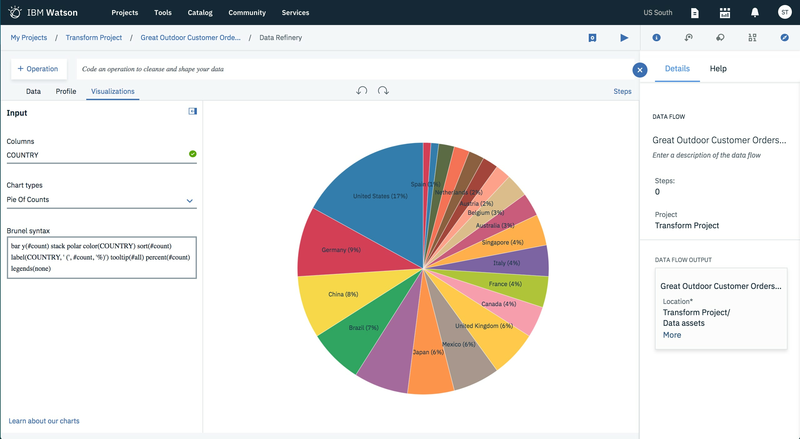 IBM Watson® Knowledge Catalog is a unified data catalog that can help your data users quickly find, curate, categorize and share data, analytical models and their relationships with other members of your organization. It serves as a single source of truth for data engineers, data stewards, data scientists and business analysts to shop for data they can trust. With active policy management, it helps your organization protect and govern data, so it’s ready for AI at scale. Introducing IBM Watson Knowledge Catalog Professional for intelligent data cataloging and governance. Discover more relevant assets quicker with intelligent recommendations powered by Watson and by peers across the organization. Curate and shape analytical assets, including structured and unstructured data, machine-learning models and notebooks. 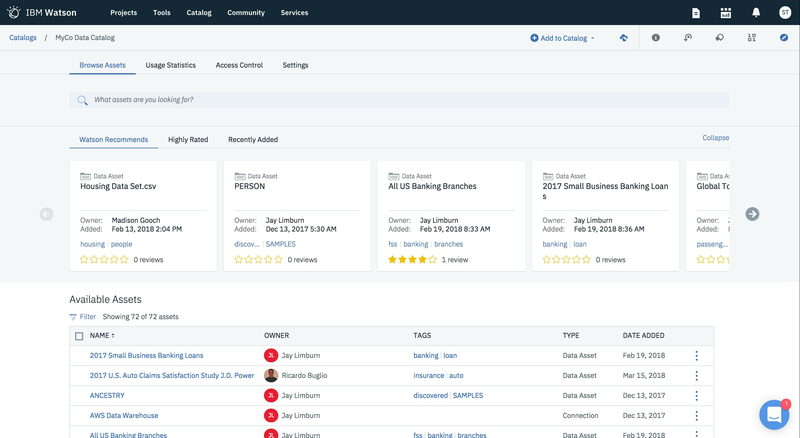 Protect data misuse and confidently share assets with automated, dynamic masking of sensitive data elements and govern with active policy management. 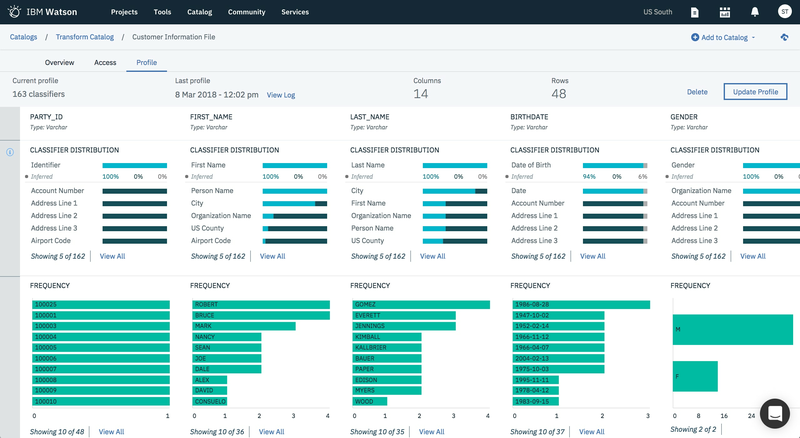 Automatically profile and classify structured and unstructured data, helping users understand data assets and their lineage. 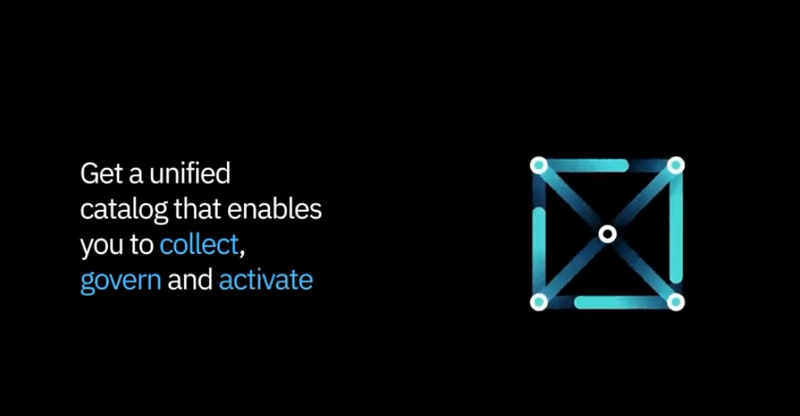 Seamless integration with Watson Studio helps data scientists and knowledge workers to quickly drive productive use of their data in a suite of powerful data science, AI, machine-learning and deep-learning tools to build, train and deploy models. 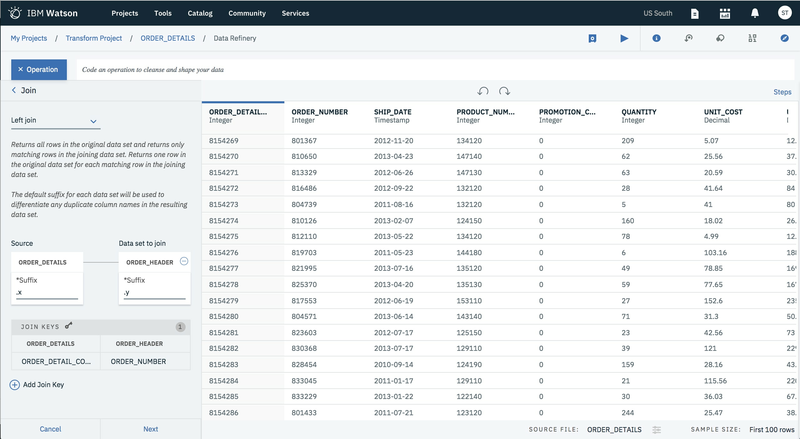 Interactively discover, cleanse and prepare your data with a built-in data refinery. Understand data quality, data lineage and distribution through data-profile visualizations, built-in charts and statistics. 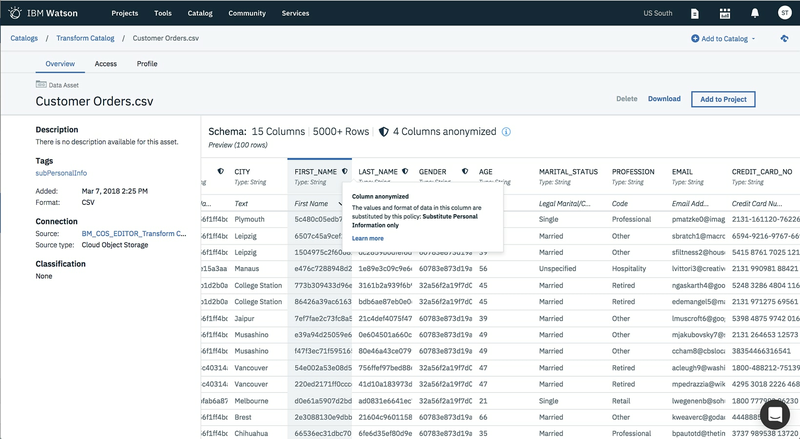 Connect your projects and catalogs to assets stored in popular IBM and third-party data sources. 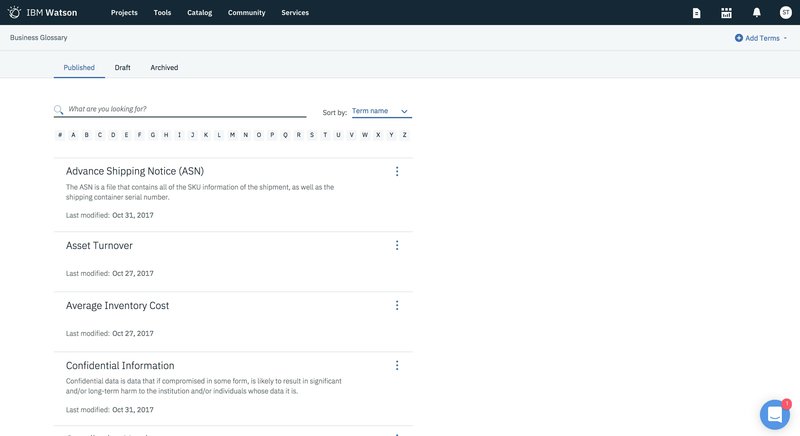 IBM Watson Knowledge Catalog has various plan choices related to Cloud, and on premise deployment options to suit all user needs. 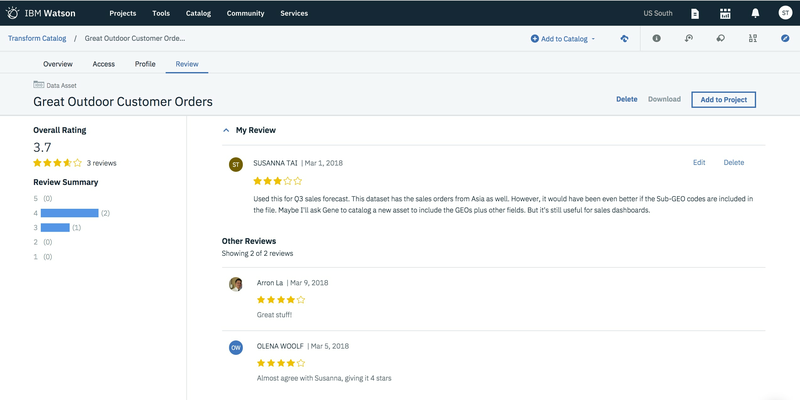 An enterprise data catalog that allows users to create, manage and share a common business language and to find, understand and analyze information.